Dental Plans vs Insurance: 5 Differences You Need to Know – SPECIAL OFFER for Tonight’s Webinar Attendees! As you learned in tonight’s webinar, dental insurance doesn’t have to be a patient’s only option for affordable dental care. And being in-network doesn’t have to be the only way for dentists to attract – and keep – their patients in the practice. Fill out this form to sign up for a free consultation with QDP and claim your $200 savings. Remember – this is a special offer only for tonight’s webinar attendees! It’s important to remind patients of how in-house dental savings plans like QDP are different from standard insurance. Patients are often left with lackluster options when it comes to dental plans. In-house dental savings plans put the benefit back into dental benefits – for both dentists and patients. Complete the form on the right to sign up for your free QDP consultation & claim your exclusive $200 savings offer before December 31st. And find out how our customized in-house dental plans can make a difference in your practice. Everyone likes a quick fix, especially in today’s digital culture. There are entire industries devoted to instant weight-loss solutions and “get rich quick” schemes. It seems like we are all over-scheduled in all areas of our lives, personally and professionally; the unfortunate result of that reality is that whenever there is a shortcut that we think will save us time and energy, we dentists are all ears. When it comes to practice growth, there’s no doubt that we dentists would LOVE a magic bullet, especially when it comes to dental marketing. 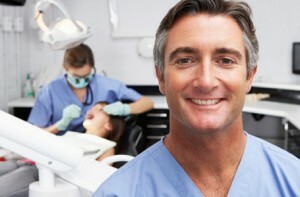 Attracting new patients is no easy feat, and dental practice marketing often ends up feeling like a never-ending chore. Let’s face it – it’s hard to differentiate your dental practice from the competition when it seems like every other dentist in the area is offering free whitening or discounted first patient visits. Not to mention, are these offers really adding value to our patients’ lives or just lowering the value of the vital services we all provide? But contrary to what the insurance companies would have you believe, going in-network does not have to be the only path to success for dental practice owners today. In fact, falling reimbursement rates coupled with increased paperwork and hassles has quite frankly made accepting insurance more trouble than it’s really worth. And remember, the discount you honor for every insurance patient is essentially a marketing fee that you’re paying to the insurance company – IN PERPETUITY – for sending you that patient. When you add up the costs of monthly premiums and co-pays, patients themselves rarely see many benefits from having dental insurance at all. So if it isn’t working for either dentists or patients, why do we all keep playing the insurance game? Is promoting ourselves in our communities really THAT scary? This is where an in-house dental savings plan comes in. With a dental insurance alternative like QDP, dentists are able to offer patients genuine benefits for an annual fee that is often less than the cost of traditional insurance. Even better, dentists are able to remove the middleman (the insurance company) and preserve the dentist-patient relationship as well as their profits. Sound compelling? Discover even more ways an in-house dental savings plan can revolutionize your dental practice. Remember, patients are looking for quality healthcare at an affordable price. Your practice can give them what they are looking for by offering a program like Quality Dental Plan. With QDP, you can be assured no other dentist in the area is offering the same plan. A QDP plan trumps insurance when it comes to the value of actual benefits provided. QDP dentists set their own fees; you don’t have to adhere to an arbitrary fee schedule set by a third party. QDP dentists are free to provide those patients who prepay for services a reasonable price for the dental care that they and their families need and want. It’s time to set your dental practice apart from the competition. Say goodbye to costly patient discounts and ineffective marketing efforts – and start providing patients with something they actually need. Interested in finding out how Quality Dental Plan can help transform your dental marketing? Click here to find out how to make your dental marketing message stand out. And fill out the form on the right or visit our website if you are interested in learning more about QDP.